Hello, again! It has been awhile since I have posted a freebie here on the blog, so I decided I would upload a current favorite of mine. 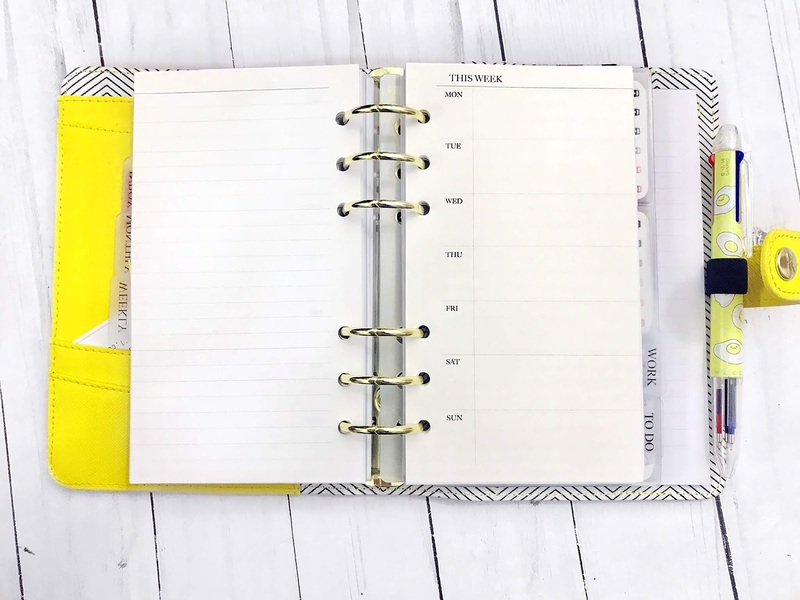 As someone who is right handed, I find it difficult to write my weekly plans on a daily basis when the rings of a personal planner get in the way. With this new freebie, you can write your weekly plans without being uncomfortable! My style is much more simple than what it used to be, so I hope you don't mind the change much. If anyone has any specific requests, let me know in the comments and I'll see if I can get around to working on it!